# The number of product launches has been restated as a result of the refinement of the product launch definition. 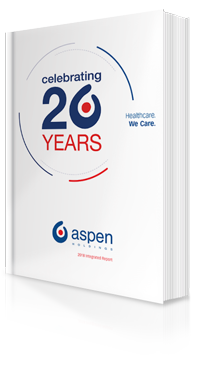 Aspen Japan operates according to a flexible business model and employs innovative marketing activities to promote leading international pharmaceutical originator brands and authorised generics in Japan. The Japanese pharmaceutical sector continues to be negatively impacted by regulated price revisions and was valued at USD80 billion as at 31 December 2017.